The world of website creation can expect to experience profound changes. The new version of WordPress arrives, so we’re expected significant improvement that would simplify content management. WordPress 5.0 is going to implement an absolutely different way of the content creation which is provided by a block-based editor. As you can see, the WordPress has decided to replace the old-good WP customizer with Gutenberg page builder. You may have heard about Gutenberg from “The Hunchback of Notre-Dame” novel, where Victor Hugo praised merit as a creator of a printing press. Gutenberg of the 21st century is going to change the world of website creation and empower the most popular content management system with code-free customization. Since now, you don’t need to have a frontend experience or order web design services from specialized agencies but use the default functionality of WordPress. So, if you want to benefit from the latest WordPress update, buy one of the WordPress 5.0 themes listed below. 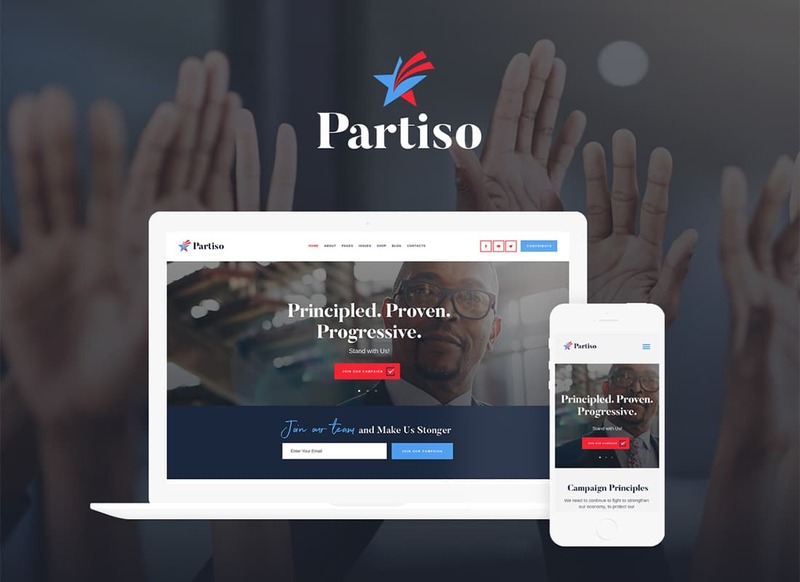 If you are looking for a premade WordPress theme that can be used as a quick starting point for a political party website, then Partiso will be perfectly suited for this purpose. 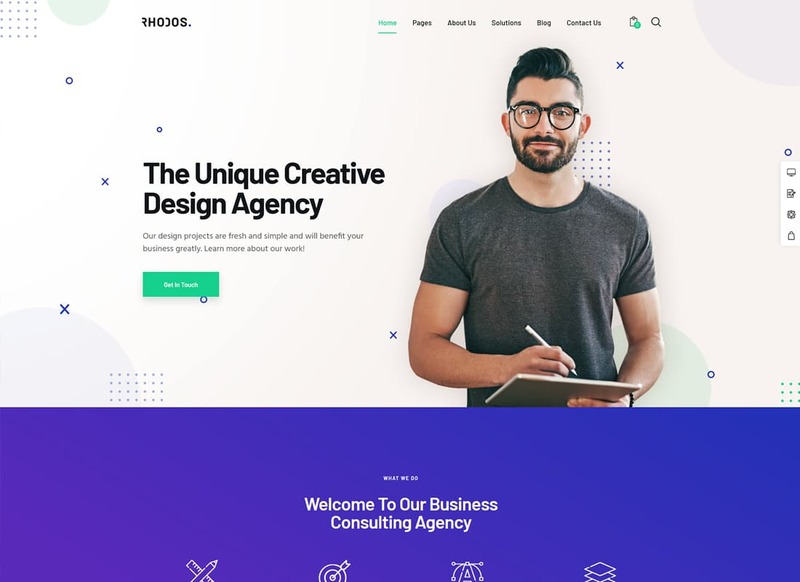 This is a responsive and SEO-friendly WordPress theme that is intended to present your campaign in a professional and trustworthy style. The theme is made to be fully compatible with WordPress 5.0 and Gutenberg page builder. It’s integrated with Elementor page builder, which makes the theme easy-to-customize even by a beginner webmaster. It comes loaded with 3 functional ready-to-go homepage layouts and a bunch of inner pages that you may feel free to adjust according to your own preferences. 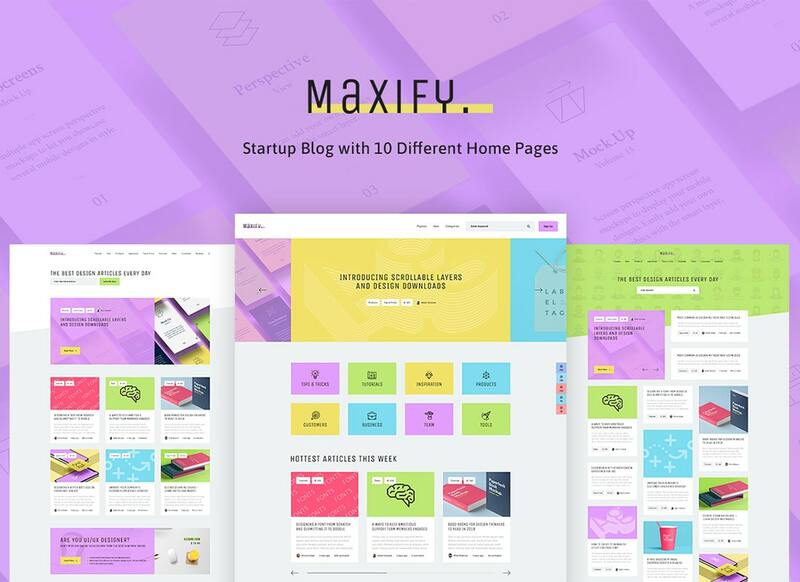 Use Maxify WordPress theme to build a functional blog or media-related online project that will stand out from the competition. 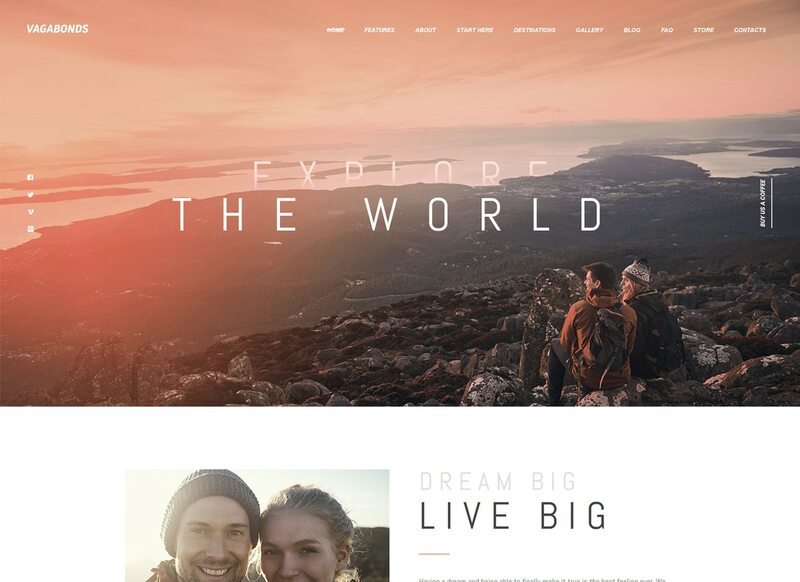 A fully editable theme structure comes enhanced with 10+ homepage demos and premade pages. In order to provide you with a quick and effortless theme modification experience, Maxify is integrated with Elementor page builder, WordPress Live Customizer, customizable color schemes, plenty of shortcodes, Fontello icons, Google & Custom fonts, and much more! It features a responsive and cross-browser compatible design. 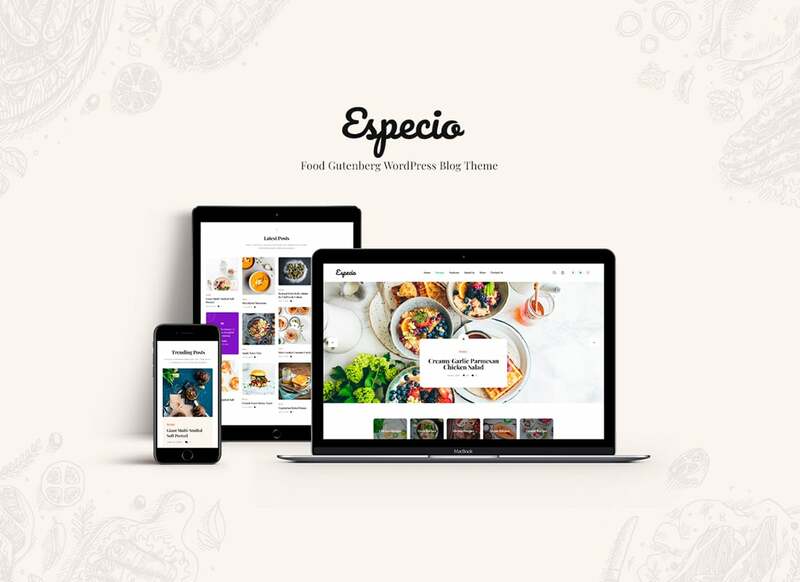 Especio is one of the newest WordPress 5.0 themes you can find today. This theme looks beautiful due to the absolute responsiveness and compatibility with powerful Essential Grid and Revolution Slider plugin. With these tools, you can create remarkable presentations and eye-catching galleries. Especio theme gives you access to custom widgets and shortcodes, which you can use to customize the website without much difficulty. 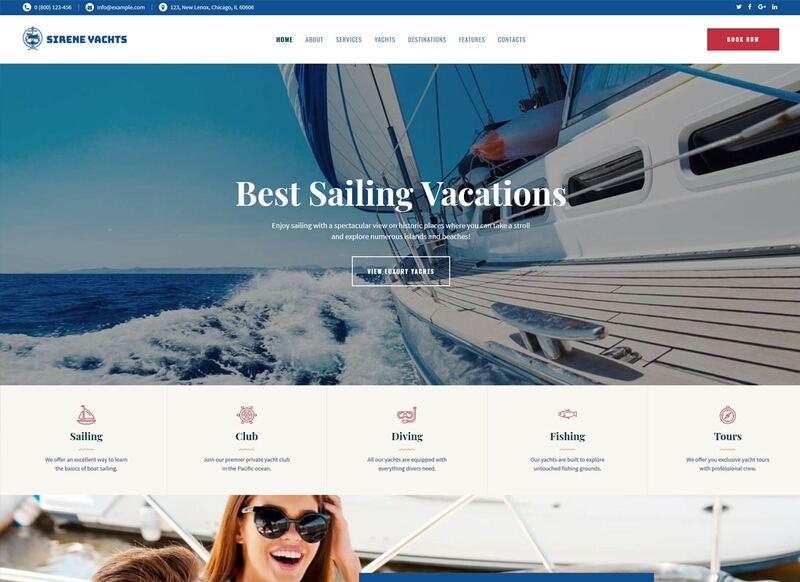 Extraordinary functionality and alluring look of the Rhodos theme is aimed to improve the efficiency or any online project. Its design is 100% responsive, which is why this theme looks perfect on both the smartphone screen and PC desktop. Rhodos theme features 10 unique niche skins with a flexible color scheme and customizable layout. You can use this theme as a portfolio, blog, or even as n e-store since it if fully-compatible with WooCommerce. As the name implies, the theme is Gutenberg-ready and supports all Gutenberg blocks. So, it is a great option for those who have no coding knowledge. This theme features 6 premade header styles, customizable blog layout, black and white skins, adaptive design, and adjustable color settings. 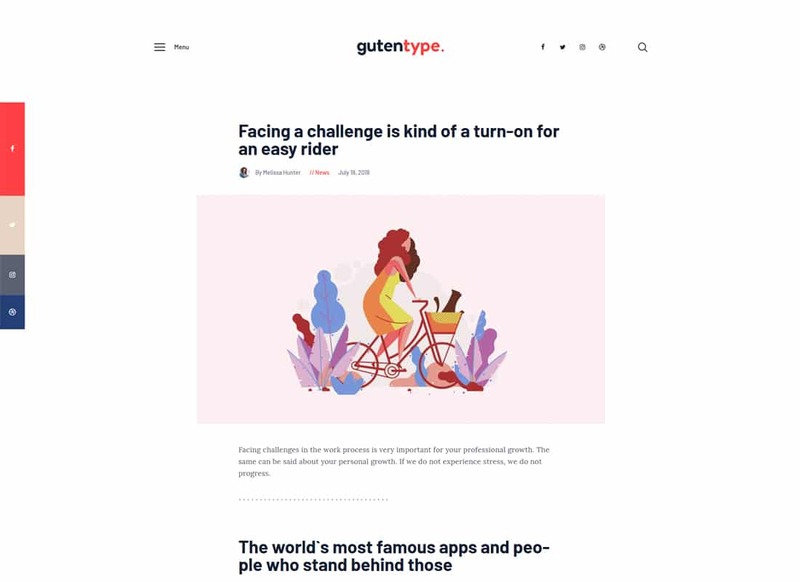 Gutentype is one of the most multi-functional WordPress 5.0 themes which comes with demos for agency, news, store, lifestyle blog, and crypto website. 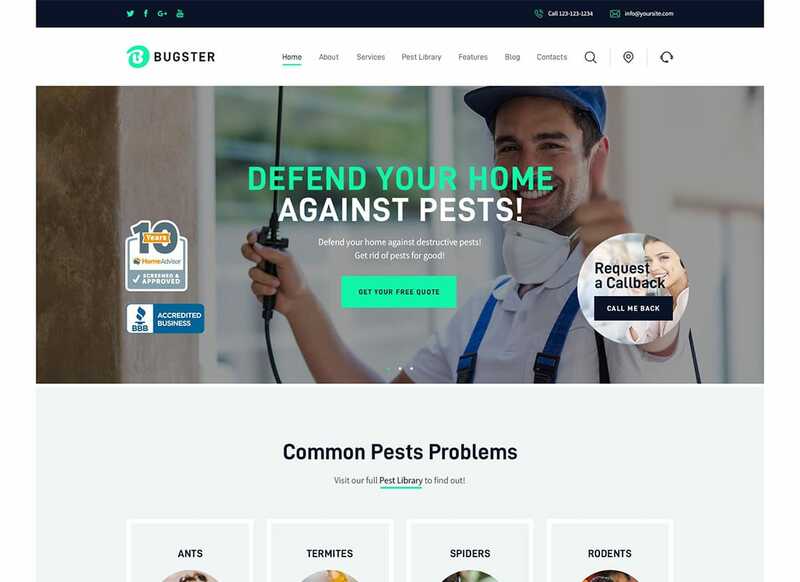 Bugster WordPress theme is the ultimate choice for getting started with indoor and outdoor pest control services websites. It features a modern and flexible layout that is intended to run smoothly on all devices and web browsers. 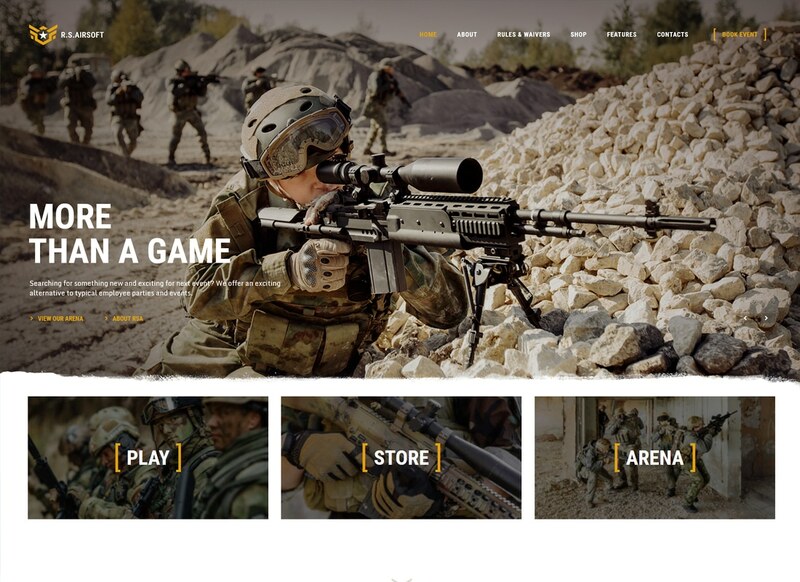 The theme is built with HTML5 and CSS3 code. It’s made to be fully compatible with WordPress 5.0 and Gutenberg page builder. Bugster comes loaded with Slider Revolution and Swiper Slider. It’s made fully compatible with all popular premium WordPress plugins like Elementor Page Builder, Essential Grid, and many others. It supports Retina-ready images and features a number of stunning animation effects. It runs on a powerful theme framework that comes loaded with 750+ customizer options, custom post types, custom widget sets, a bunch of handy shortcodeы, and many more. 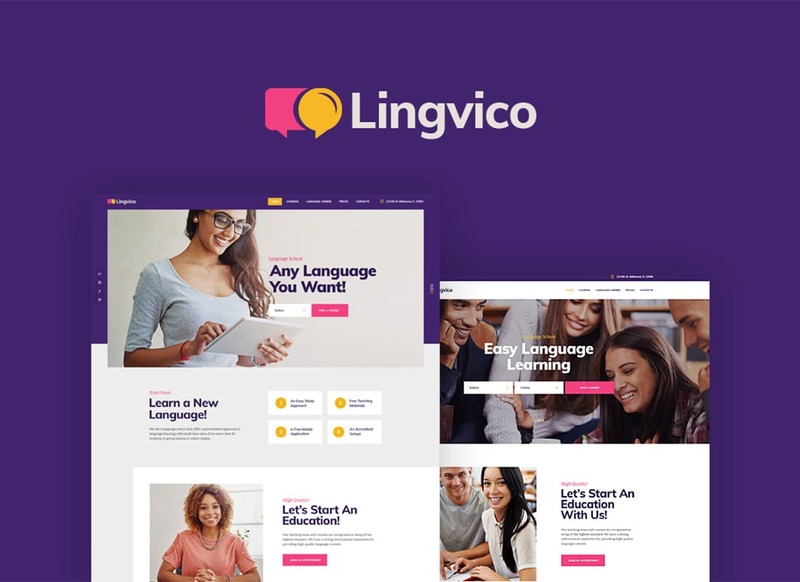 Lingvico WordPress theme features everything you may expect to find inside a ready-made web design for educational purposes. It is clean and lightweight. It’s easy to import the theme to your site owing to the 1-click installation features. Also, you are provided with 2 free homepage demos, which are ready to be personalized intuitively. The theme is ready to be adjusted absolutely code-free. This is achieved due to its compatibility with the Elementor page builder and a range of premium WordPress plugins. 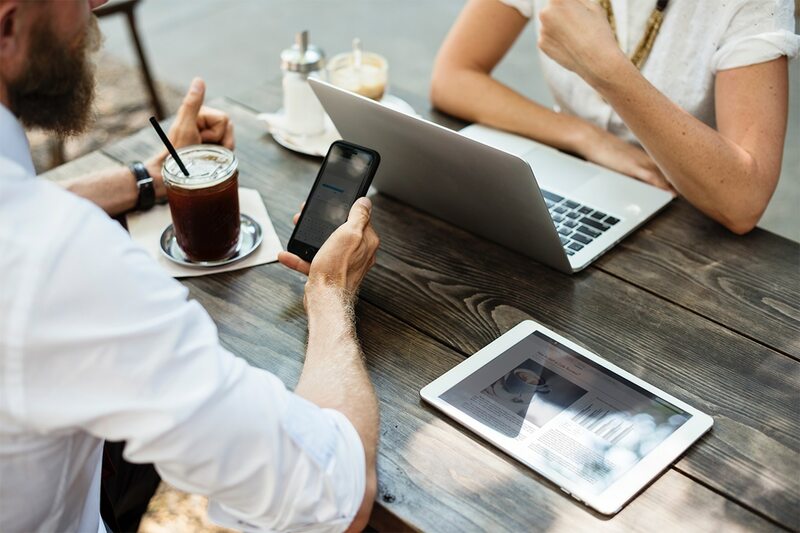 Additionally, the theme includes a functional booking system, which allows you to streamline your appointment scheduling routine to a great degree. Simply let your visitors book their future appointments using a simple form on your website. 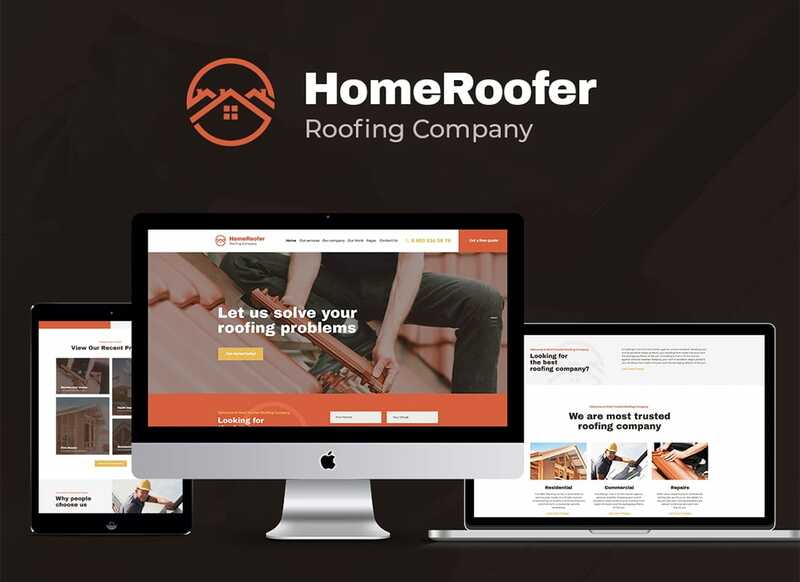 The theme represents a perfect combination of style and functionality, which will become the perfect choice for the launch of construction, architecture, and roofing company websites. It is intuitive and user-friendly. The theme comes loaded with all tools and features that are needed for its easy editing and customization. 2 live demo versions are included in the theme’s package. You can also add WPBakery Page Builder to your site in order to be able to customize its pages code-free. There are a number of blog layouts and ready-made pages included in the theme’s download package. You can also boost the performance of your site with a number of popular plugins. In addition to the blogging features, the theme lets you add eCommerce elements to your site because of its full compatibility with WooCommerce. 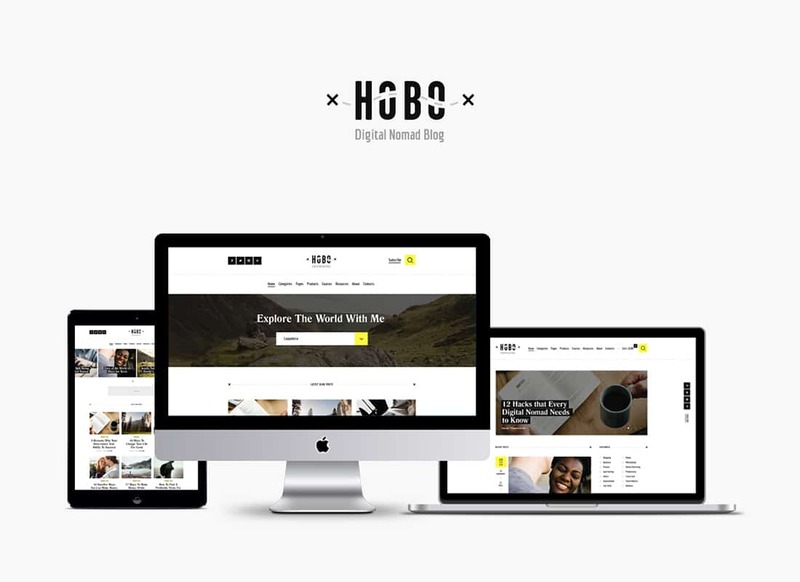 Alluring and contemporary Hobo theme has an absolutely responsive design. It is suitable for bloggers and travelers desiring to share their adventures with the wide audience. With this theme, you can implement all your creative ideas since Hobo theme is integrated with Elementor page builder. As all WordPress 5.0 themes, this one is compatible with Gutenberg, so you have even more useful customization tools. Want to launch a blog but don’t really know where to start? Start with Katelyn theme purchasing. The design of this theme is based on Gutenberg builder, so you won’t need to work with the code. Also, it features several gorgeous demos stuffed with appropriate content. All layouts are fully-responsive, customizable, and optimized in accordance with search engines requirements. Save your time and efforts with the Katelyn theme. 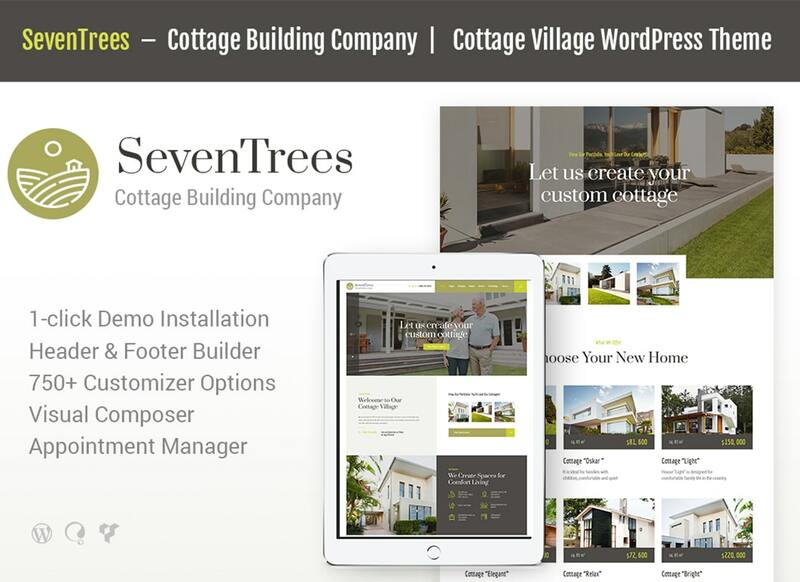 Use SevenTrees WordPress theme to build a functional and user-friendly website for your real estate project. It features a fully editable layout that’s ready to be modified in a number of ways that match your personal or corporate preferences. The theme is made to be fully compatible with WPBakery Page Builder. It includes a series of pre-made pages and 3+ header styles. Moreover, you are provided with full control over header and footer areas of your site due to the Header and Footer Layouts Builder. You can also use it to built custom layouts for your site from scratch. SevenTrees is a responsive, cross-browser compatible, and SEO-friendly web theme. Use it for the maximum visibility of your real estate project. 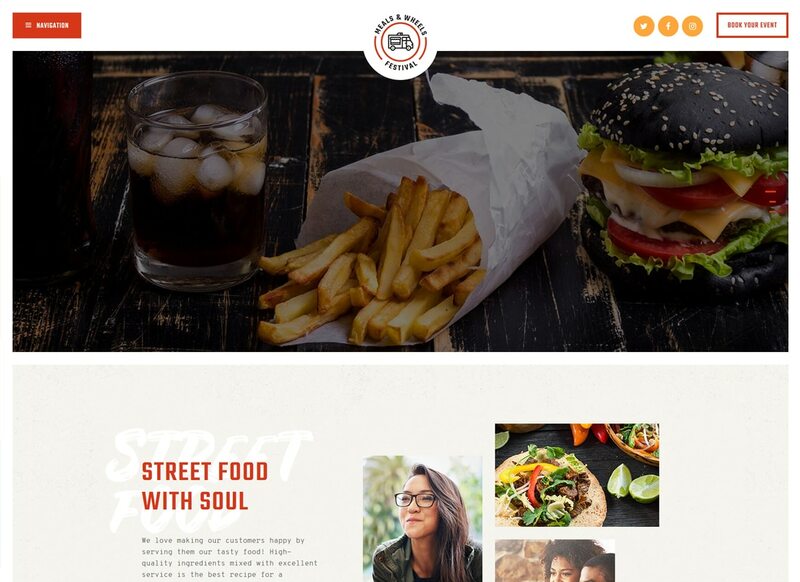 Looking for a modern and stylish theme to design your food delivery website with? Then check out the Meals & Wheels theme. It has 3 gorgeous premade layouts, all built with a drag-and-drop builder. This theme is WooCommerce-ready, so you get premade product pages and all the needed capacities to establish online sales. Meals & Wheels theme works for all devices since its layout is fully responsive and Retina-ready. An astonishing look of this Gutenberg blog will not go unnoticed. 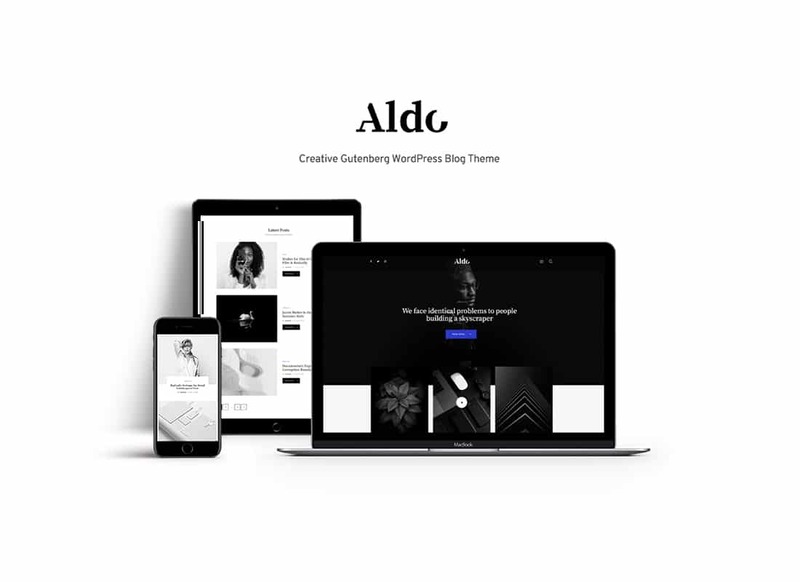 Aldo theme supports Gutenberg blocks and features lots of extra shortcodes compatible with this builder. You will enjoy the theme flexibility provided by header and footer builder, widgets, and shortcodes. You will have several ready-made demos, such as minimalist, classic, creative, modern, and much more. Aldo gives you an ability to use the One-Click Installation option and save your precious time. It is a must for a photo company to make sure the content looks perfect on all screen sizes. This theme guarantees a perfect performance on any device. 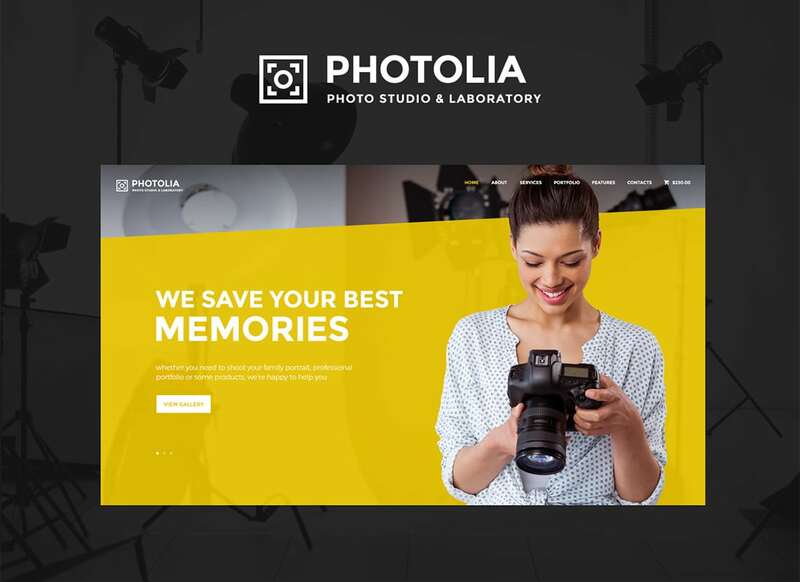 Photolia theme has a powerful functional base provided by WPBakery, Slider Revolution, Essential Grid, Contact Form 7, MailChimp, WPML, and TRX Addons. It is optimized for speed in order to keep your customers pleased. 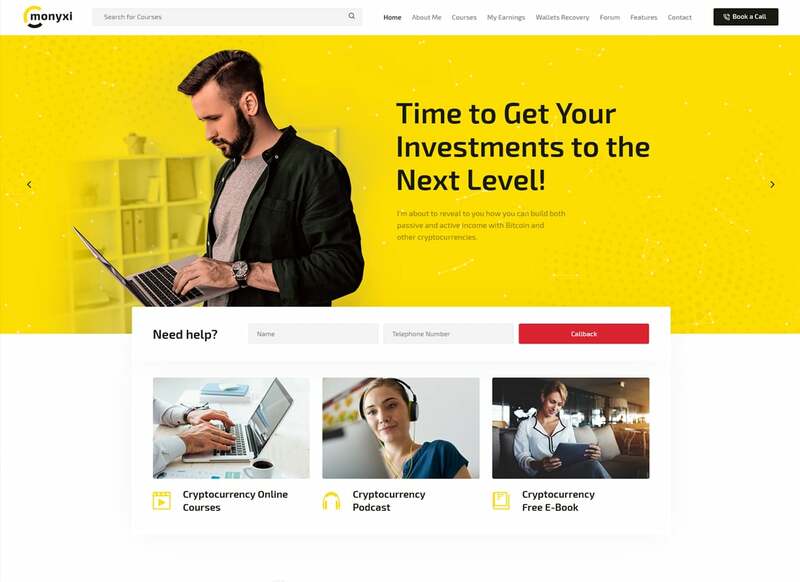 It supports lots of social media platforms so you can connect your profiles with the website. Apparently, this is one of the most appropriate WordPress 5.0 themes for a creative website. Artrium is based on a powerful framework and its design is made with easy-to-use Elementor Page Builder. You will get lots of premade pages with flexible settings. This theme is compatible with 9such plugins as Essential Grid, WPML, Slider Revolution, ThemeREX Addons, MailChimp for WP, WP Image Markers – Easy Hotspot Solution, and much more. Vagabonds is an attractive and responsive WP theme made for the personal blog. It is perfect for the creation of astonishing portfolios, as you get the Essential Grid plugin free and compatible. Its beautiful mobile-friendly design and fast page loading speed will highly impress your visitors. Using unlimited color options, extensive typography, and rich UI kit you will create a unique design that will boost your website SEO and attract more visitors to your blog. 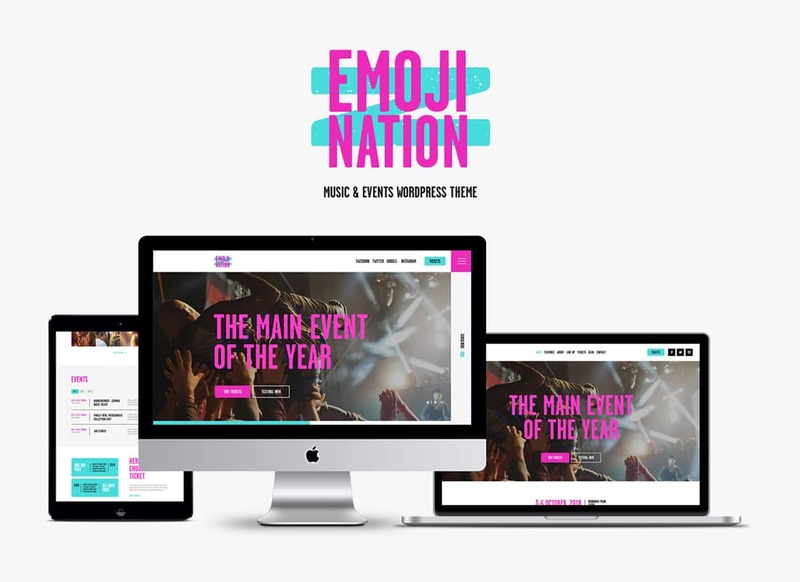 EmojiNation is a colorful and stylish WP theme created for the entertainment field. Using this theme, you can not only promote upcoming events, but also show off lineup program, manage events, introduce your team, and showcase videos and Dj sets. It features several pre-built pages, which you can get in a flash using the One-Click Installation option. Using the powerful ThemeREX Add-ons plugin you will be able to use custom post types and customize header and footer by means of drag and drop functionality. 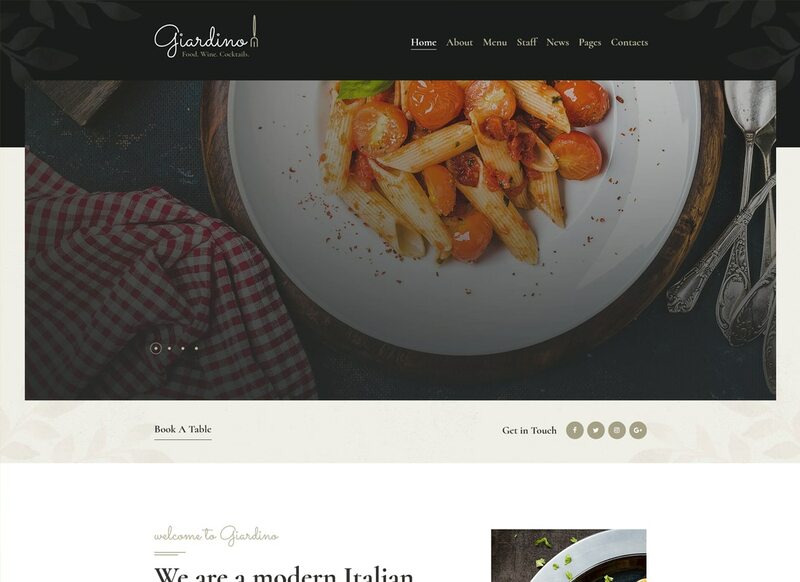 Giardino theme is a minimalist yet attractive theme for food-related establishments. It is made with WPBakery page builder, which has a user-friendly interface and equips the website with drag and drop functionality. Some other features that make Giardino theme special are Google Fonts, Awesome Fontello Icons, customizable Google Map, custom widgets, and shortcodes. As other premium WordPress 5.0 themes, this one is responsive and Retina-ready. Here we have another brilliant theme for a travel blog. This theme has a clean and fresh design which is, by the way, adaptive and scrollable, as there are Swiper and Revolution sliders included. Also, it features lots of customization tools, for example, Elementor page builder, Essential Grid, ThemeREX Addons, and other powerful plugins. This theme allows you to use tabs, columns. modify sidebars, change typography and color of the theme. 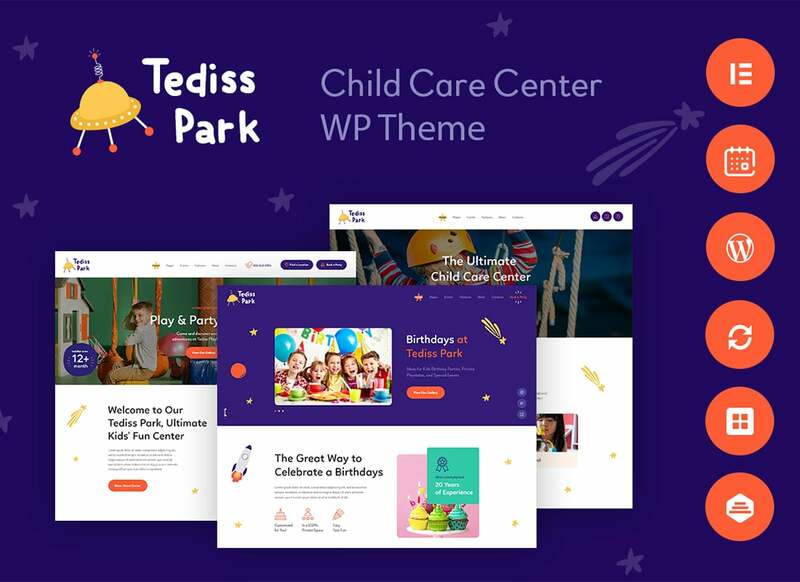 This bright and fresh theme is an awesome solution for a child care center. 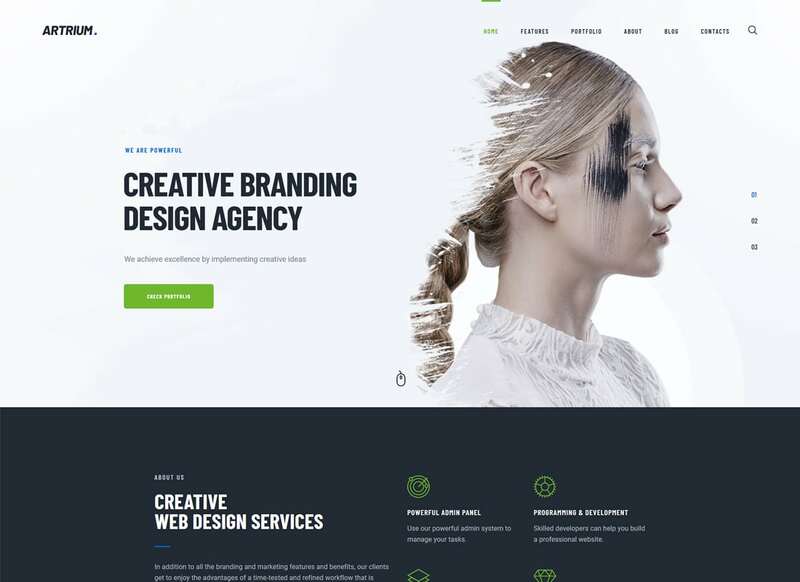 It is one of the latest WordPress 5.0 themes you can find on the Envato market, so it is built in accordance with the latest web design trends. Tediss theme features several blog layouts, all responsive and customizable. With this theme, you can share photos, videos, quotes, audio files, links, and other post types. All images you use for the website are adaptive and the theme chooses an appropriate image size for different devices. 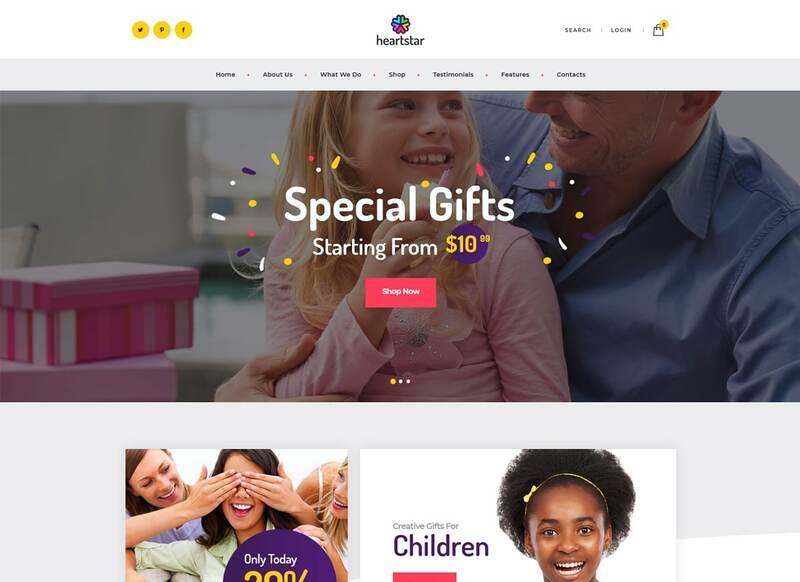 HeartStar is the theme with a colorful alluring design that is suitable for an events company website. It will attract people with its responsive design but what is more important, improve the functional capabilities of your website. 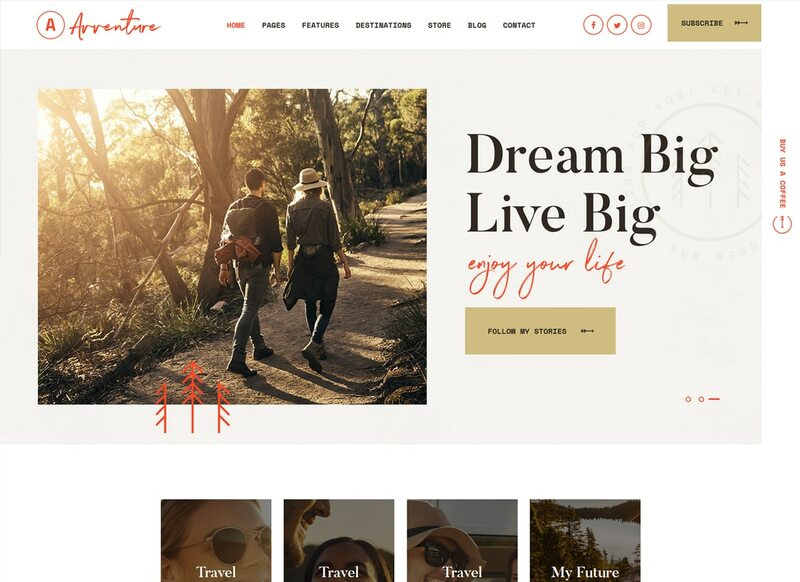 This theme comes integrated with advanced contact forms, premade modules (for the team, services testimonials, and more), features awe-inspiring blog layouts and galleries. Use the One-Click installation option to import the theme data. 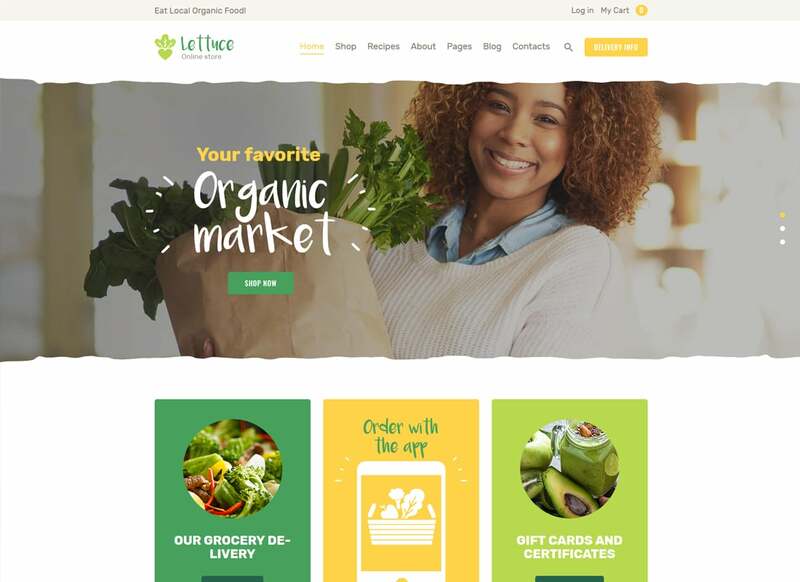 Are you in search of fresh WordPress 5.o themes that would suit your organic food store? Then check out the Lettuce theme which has an appropriate design. It is made with a drag and drop page builder which ensures the flexibility of the website design, The theme comes with 3 home page layouts, recipes management, gift cards, and shipping method page. Thanks to the absolute responsiveness of this theme, your clients will be able to use it on the go. 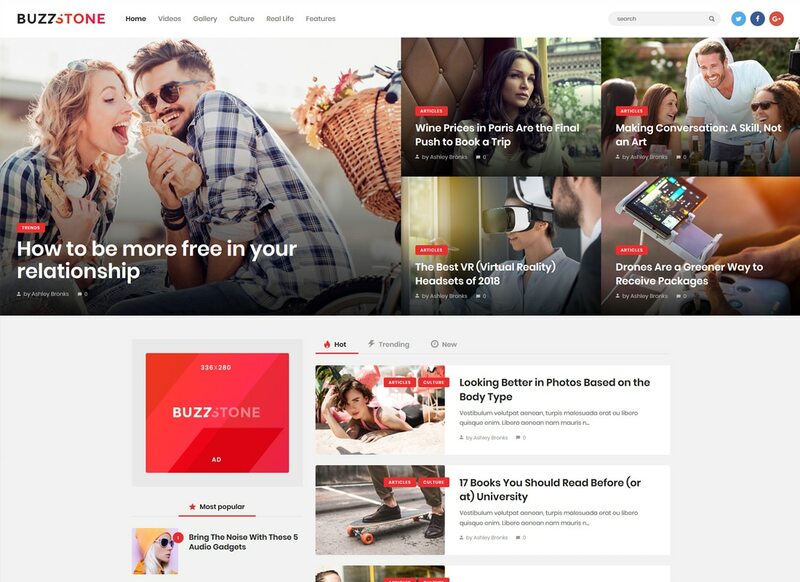 Buzz Stone is a 100% responsive modern theme for the online magazine. It features 10 gorgeous homepages, extensive typography, custom widgets, and shortcodes. It comes with drag and drop creator, so you don’t need to touch a single line of the code. All images will look perfect on a tablet, smartphone, or PC screen, as the Buzz Stone theme is Retina-friendly. You will get a pack of detailed theme documentation which helps with the theme customization. Ozisti is an innovative WordPress theme integrated with augmented reality. It will improve the efficiency of the e-commerce project at once. 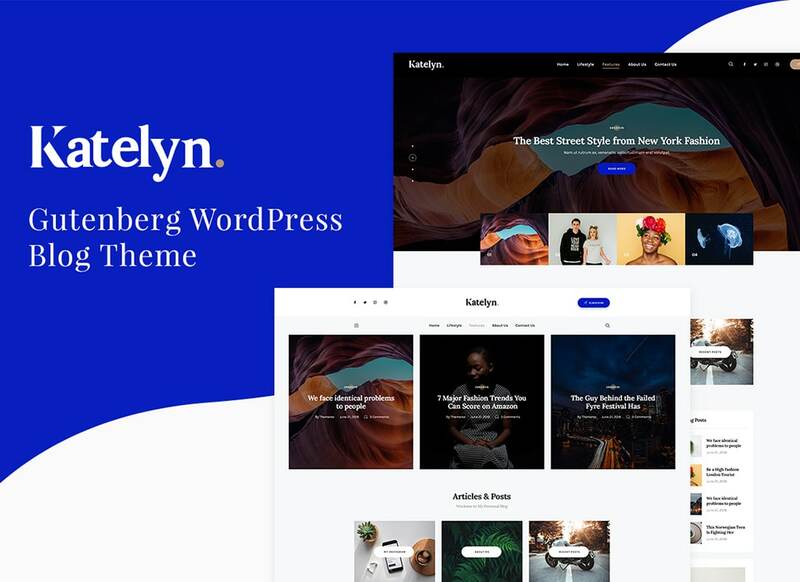 Apart from AR, this theme features Gutenberg and lots of other premium plugins. 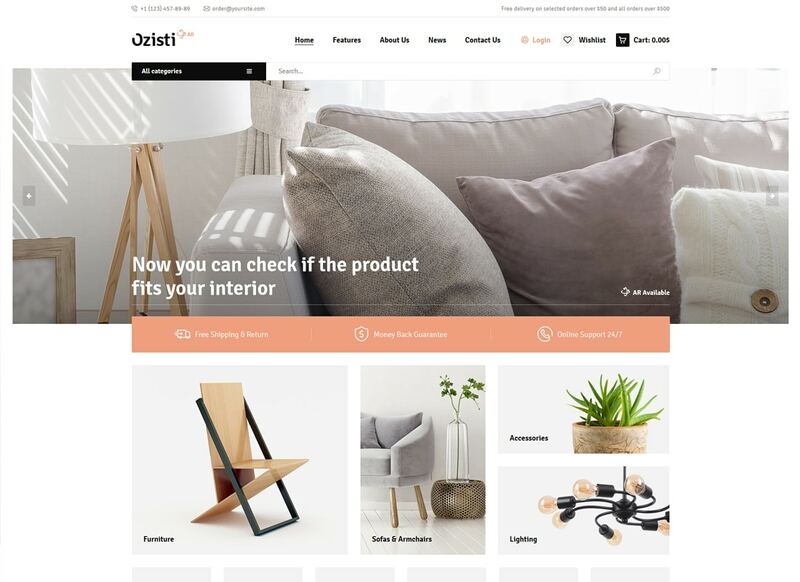 Ozisti offers 4 premade home pages, 9 ready-made blog skins, wishlist and compare list, and an online currency switcher. By the way, the theme is integrated with WooCommerce, which means you get a complete e-store functionality. 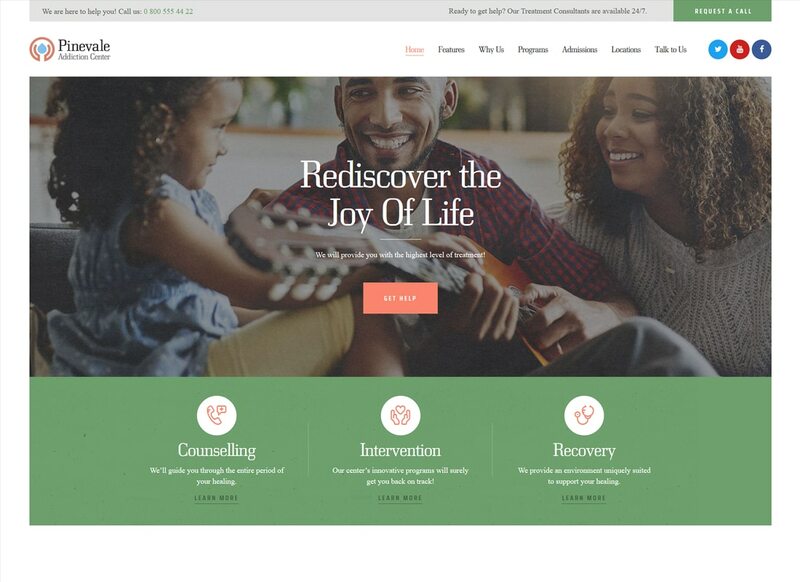 The clean design of Rosalinda theme works great for health coach services. What is more, the theme is responsive and flexible. You can use it as a blog or an online store. This theme supports Sticky Menus and Mega Menu, so you provide your clients with clever website navigation. Buying Rosalinda theme you get ThemeREX Addons plugin. It allows to use custom post types and drag and drop functionality for customization of header and footer. Looking for a stylish theme that would attract a wealthy audience? Then you need to buy Sirene theme. It has a contemporary design and features lots of attractive visual aspects. The first thing that worth mentioning is Parallax effect backgrounds. This feature creates an astonishing background and equips the website with smooth scrolling. The theme has several homepages. Sirene theme is made with clean and valid HTML5 CSS3 code and has a perfect SEO. Meet Raider Spirit - the best theme for paintball and airsoft club. No interaction with the website code is required due to compatibility with WPBakery page builder. Another thing that will help you to fill the website with custom content is a pack of shortcodes. You will find lots of Google Fonts, Awesome Fontello Icons, 20 post animations, and over 750 customizer options. This theme is regularly updated and very well supported. Do you need several designs for the blog, however, you are on a budget? 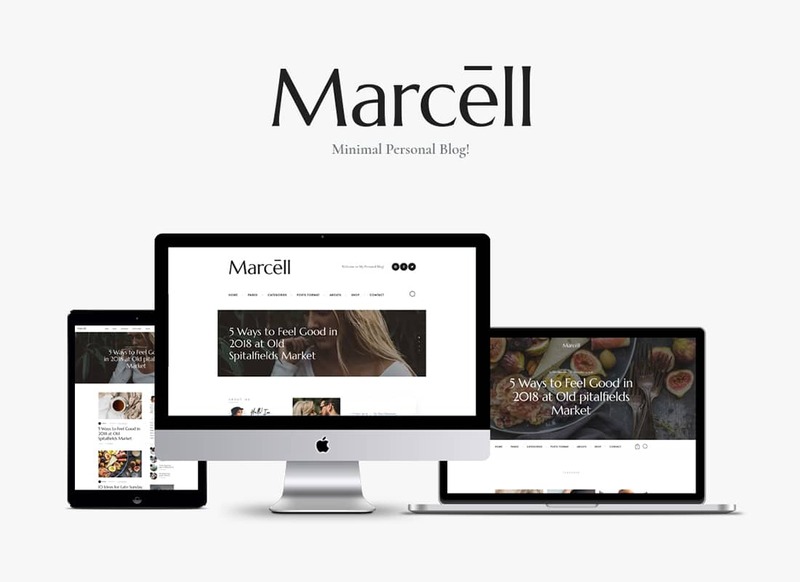 Marcell theme features not 1 but over 20 pages suitable any kind of blog. Using an extensive pack of customizer options, header and footer builder, and WPBakery page builder you will create a remarkable website from scratch. Marcell theme SEO optimized code, so you can drag more traffic. Use the One-Click Installation option to get all demos with no efforts. Most of WordPress 5.0 themes in this article support Parallax effect backgrounds. This features provides with gorgeous animation and establishes smooth scrolling of the website. Podium offers One-Click Installation and comes with multi-layout pages. Its elegant and fresh design will improve the appearance of your website. Using WPBakery and header and footer builder, you will create lots of unique content without any assistance. 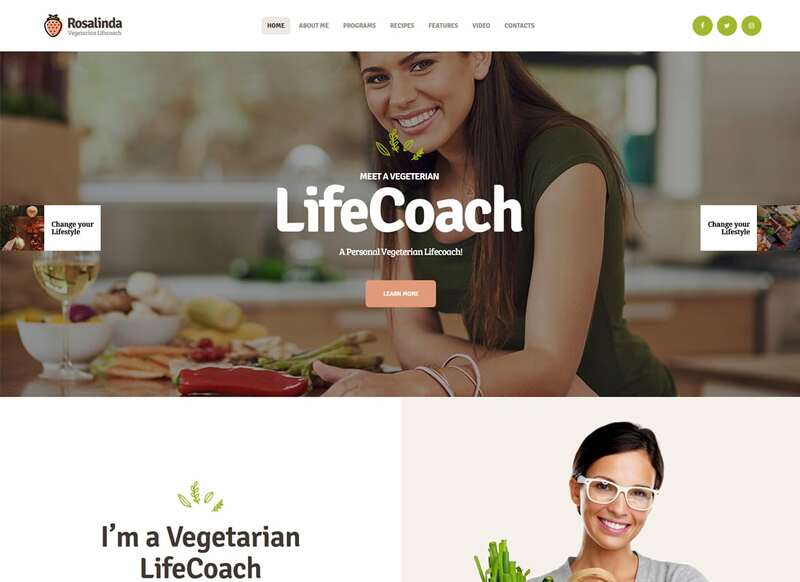 Pinevale theme has a flexible design and comprises lots of easy-to-use customization options, such as premade modules, shortcodes, and Elementor page builder. Also, it has several demos, testimonials, contact forms, and even a live chat. Pinevale is very versatile when it comes to options and customization. Not only does the header image support full screen, but the entire site is responsive to fit perfectly regardless how wide that display is. Panoramica theme includes multiple blog styles, beautiful blog animations, post views, likes, and sharing buttons. Apart from that, it gives you access to the Give-Donations Plugin, which allows you receiving payments through the website. Versatile design and perfect SEO make this theme beneficial for any business. 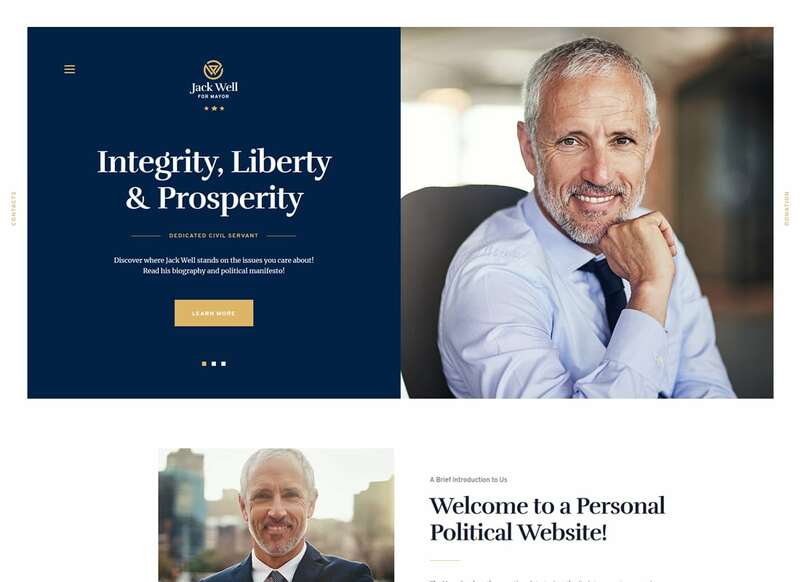 It has a premade design for political campaign however, you can change its look WPBakery page builder and custom shortcodes. It also uses Google Fonts, Awesome Fontello Icons, stunning post animation, Parallax scrolling, and much more. This theme has a fully responsive and Retina-ready design, so your website will look great on all devices. 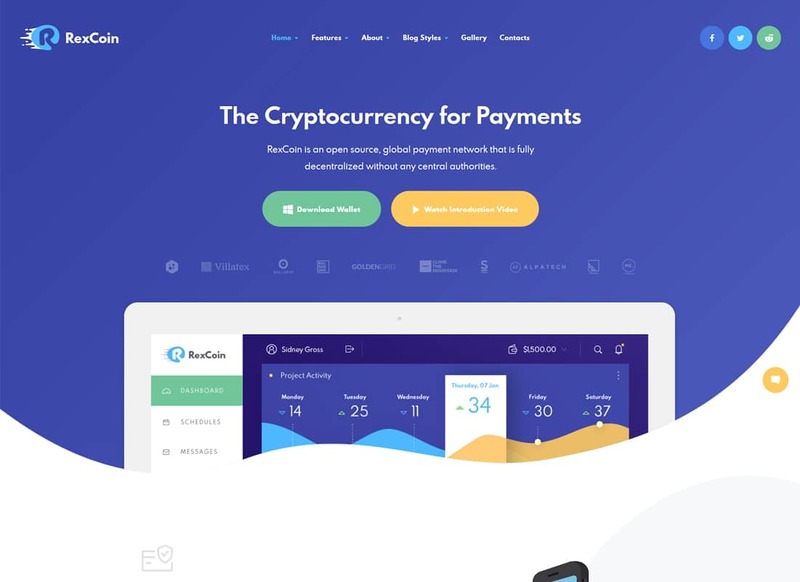 RexCoin is a responsive WP theme that comes with a design, that suits perfectly financial blog or ICO website. As it is the finance WordPress theme, it includes ThemeREX Donations plugin. Thanks to this plugin you can receive payments in real money through the website. All the content blocks and other elements of this theme are optimized for SEO. This theme is enhanced with calls to actions, post views, likes, sharing buttons, related post section, and other features that keep visitors involved. We have another responsive and colorful WordPress theme dedicated for finance field. It would help a newbie business coach to promote services and establish trustworthy relationships with the audience. As this theme is made for coaching websites, such plugins as LearnPress, bbPreas, and Power Charts are included. Using these plugins, you will be able to create online courses with quizzes and tests, launch a forum, and build impressive charts. Main advantages of this theme are dynamic look and robust functionality, however. 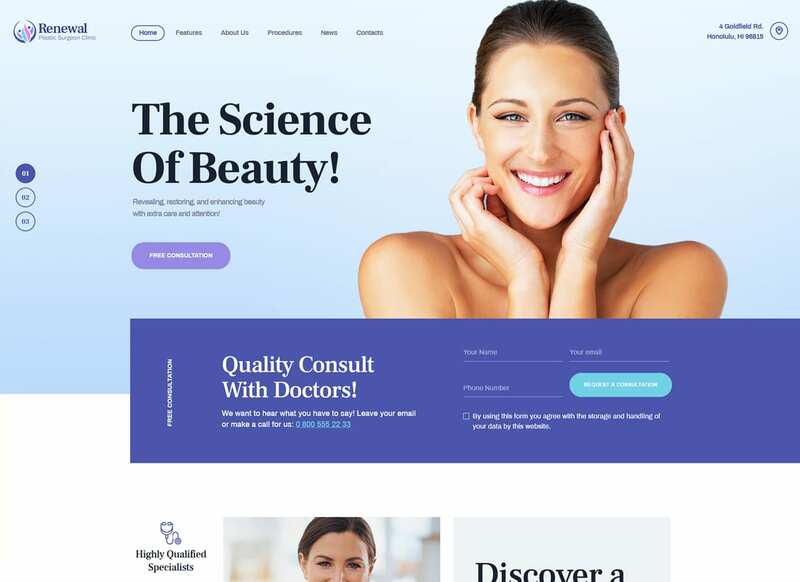 Gorgeously designed pages feature lots or medical content and a versatile interface of the drag and drop builder establishes effortless website customization. Like all the themes in the list of best WordPress 5.0 themes, this one has a perfect SEO. Beautiful custom forms, Parallax animation, flexible Mega Menu, and interactive Ajax search improve the usability of your website. If you need a beautiful design to launch a blog a commercial website the Callie Britt would work great. It comes with clean modern design and features tools for fast and simple customization. 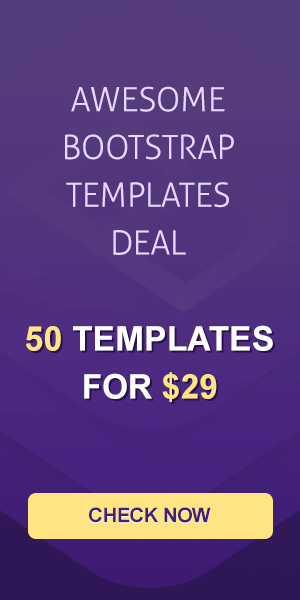 Also, you get it compatible with such plugins as Slider Revolution, Essential Grid, the Events Calendar, MailChimp, ThemeREX Addons, and much more. Callie Britt theme features One-Click installation option, so you will enjoy its usability from the very beginning. Are you running a fundraising campaign? 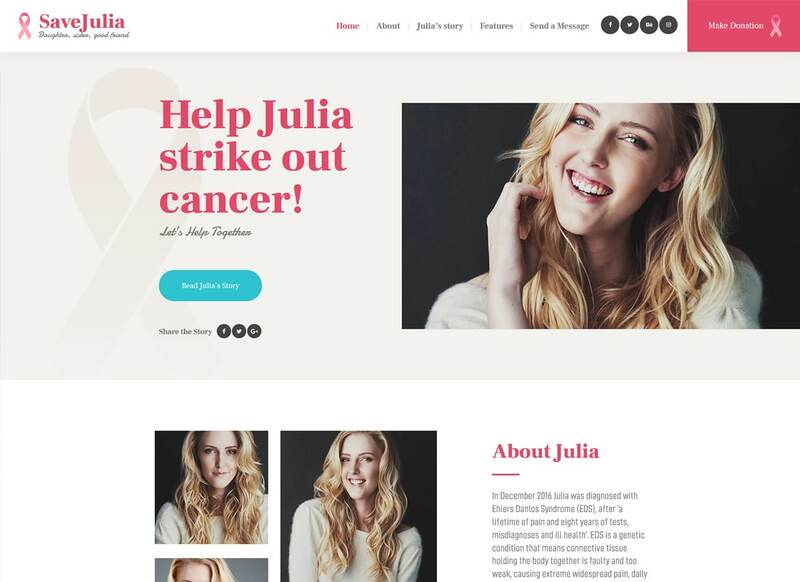 Then you need to build a website in order to achieve better results and Save Julia theme will help you with that. 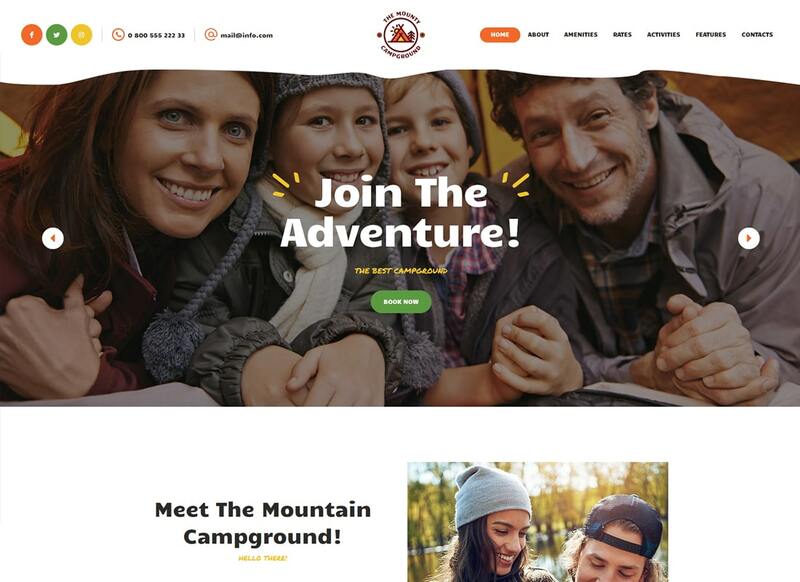 This theme features everything you might need to build a fundraising website. The handiest feature is compatibility with Give - Donations plugin. Also, it is bundled with WooCommerce, Essential Grid, Revolution Slider, Essential Grid, MailChimp, and other premium WordPress plugins. 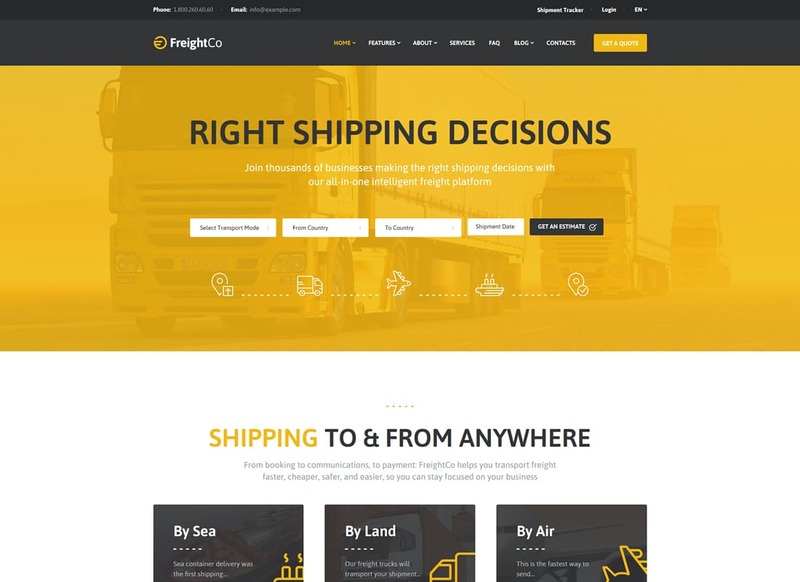 FreightCo theme is the best solution for a transportation company since it comes compatible with WPML plugins which allow translation of the content to different languages. There are 10 blog and news layouts available. All ready-made skins are supported with the drag and drop content composer so you can easily modify the website look. The advanced quote calculator will help your clients to figure out the cost of the service you provide. As the name suggests the CleanSkin theme has 3 beautiful clean homepage skins. This theme comes WooCommerce-ready, so it is a great option for an e-store of any complexity. 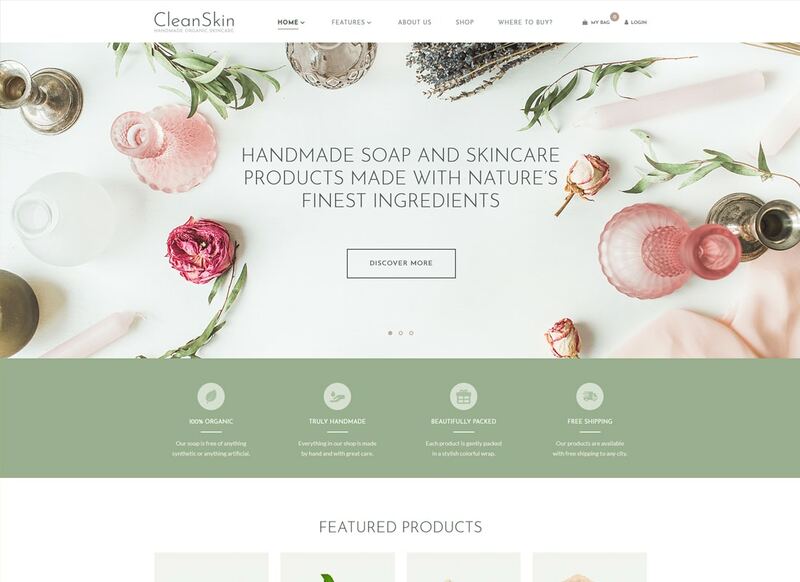 This particular theme comes stuffed with the content that suits best natural cosmetic shop still, you can use it for any store and the WPBakery page builder will help you to customize the theme design without the need to touch the website code or pay for web design services. 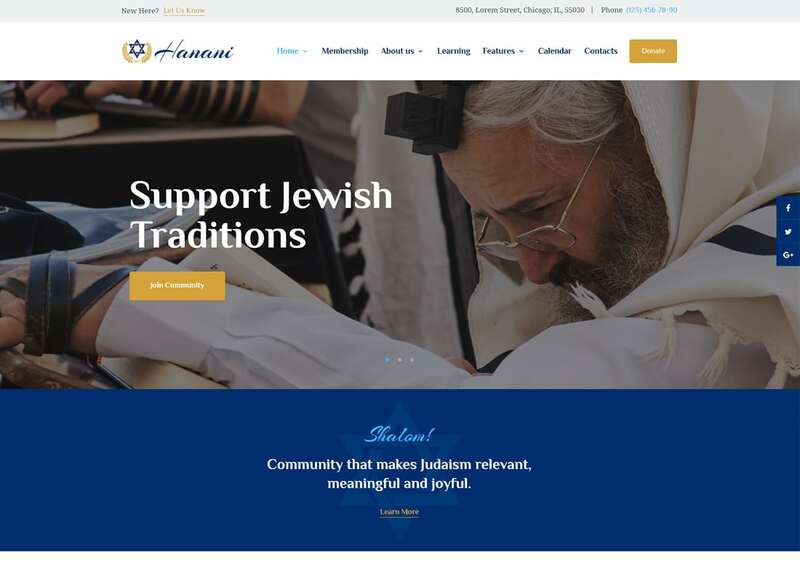 Hanani is a delicate WordPress theme made for religious websites. It comprises classes, events, Give - Donations Plugin, ready-made pages for community and membership. This theme will look perfect on any device as it has a fully responsive design. Besides, the theme features Swiper and Revolution Sliders, which are also mobile-friendly. 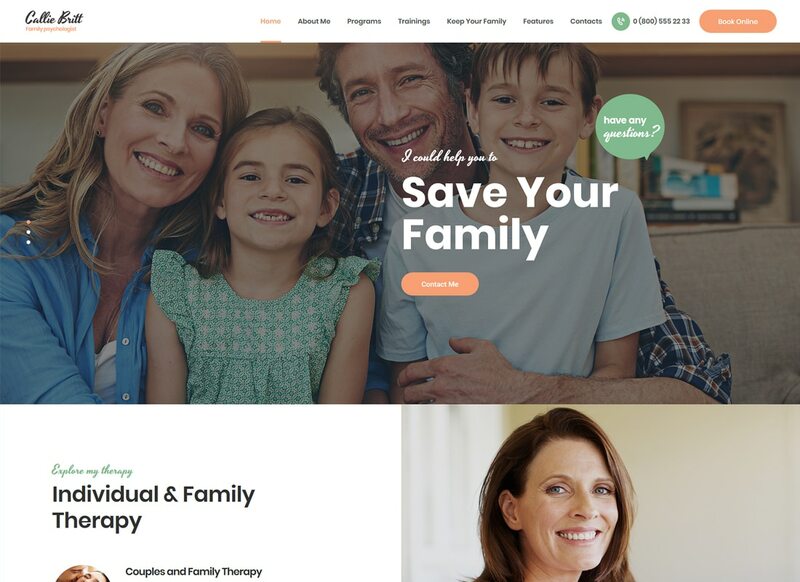 Hanani theme has several gorgeous homepages ready for use, so do not hesitate and get this powerful WordPress theme. 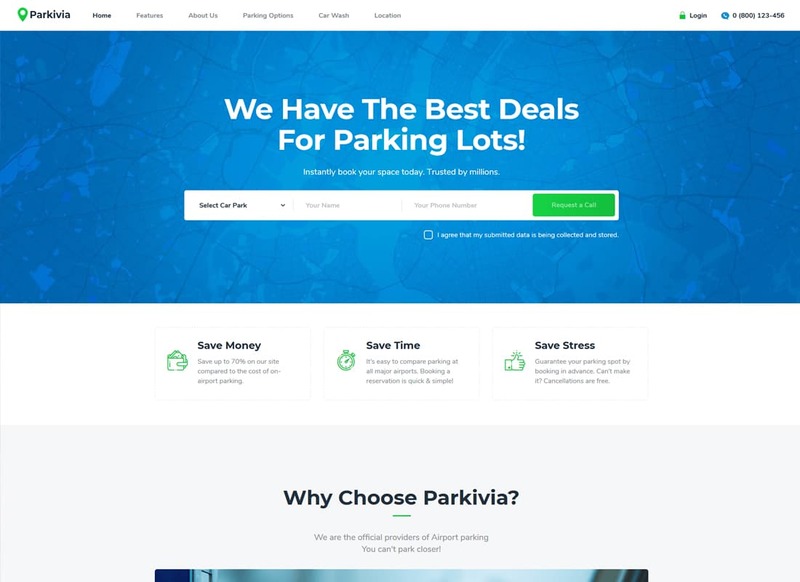 Parkivia theme has an alluring design and features lots of predefined solutions. Premade services for the car wash, auto repair, and body shop are included. Also, there are pricing tables and locations map available. It comes with an extensive pack of shortcodes and content blocks which you can manage by means of the drag and drop builder. This is a well-widgetized theme and is aimed to empower your website with additional features. Need a theme that would look appealing on all devices whether with the big or small screen? The Mounty theme has an alluring ready-made design that is adjustable to all devices. It comes stuffed with premade pages, booking and contact forms, and events management system. Thanks to powerful plugins, you will build a user-friendly website that establishes a strong online presence for your business in 2019.